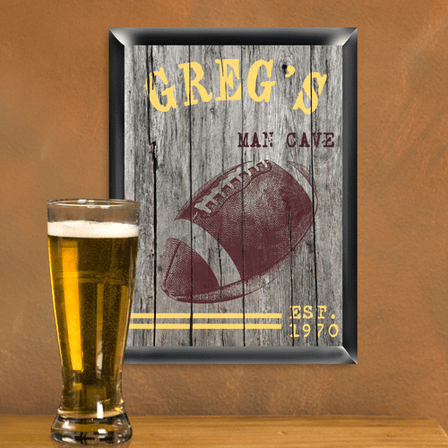 FEATURES/SPECS Featuring a rustic style print of a large football against a weather beaten fence background, this personalized wall sign will be a great addition to your den or man cave. 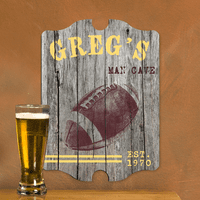 It is made of black finished solid wood and can be personalized with your name splashed across the top, letting everyone know just who's man cave they're in. 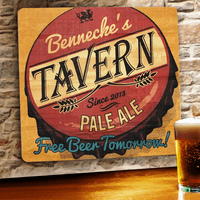 Add a date of establishment as a finishing touch. 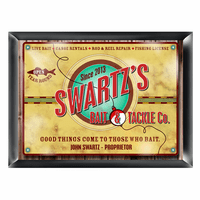 This sign comes ready to hang, the perfect finishing touch to your favorite room. 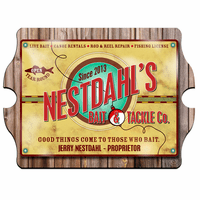 Do I enter the name as "Tad" or "Tad's"? I don't want the " 's " to be repeated. Thanks!!!!! Enter it as Tad's. Thanks!